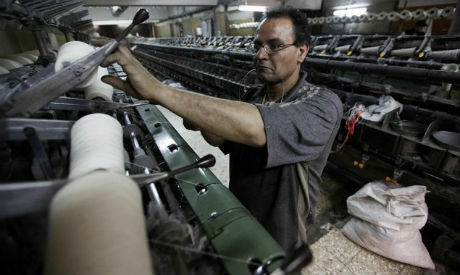 Sixteen thousand striking workers at the Egyptian Spinning and Weaving Company in Mahalla have decided to suspend their strike on its twelfth day after the company promised it would look into their demands, Al-Ahram Arabic website reported. Earlier on Sunday, the leading activist worker, Fouad Lokash, told Ahram Online that the workers were going to have a meeting with representatives of the Spinning and Weaving Workers Syndicate committee to negotiate their demands. The syndicate committee has been acting as a mediator between the striking workers and the factory's administration. The workers at the famous state-owned company have been making several demands, including a 10 percent rise in basic salary, a 10 percent rise in social benefits, and an increase in their food allowance. The workers have also demanded that the company’s general coordinator be replaced by a new board of directors.